The latest news is that Tata Steel plans to match the offer price of JSW Steel for Bhushan Power & Steel (BPSL). It is likely to revise its bid to Rs 19,700 crore from its earlier Rs 17,000 crore. In the first quarter of this financial year, Tata Steel took a debt of around Rs 17,500 crore for acquiring 5.6 million tonne (MT) Bhushan Steel and, with this, its consolidated debt increased to Rs 1,16,615 crore from Rs 92,147 crore three months before. Tatas acquired Bhushan offering Rs 35,200 crore to the lenders and Rs 1,200 crore to the operational lenders. Besides, the company agreed to acquire the steel business of Usha Martin for Rs 4,700 crore in September. The latest news is that Tata Steel plans to match the offer price of JSW Steel for Bhushan Power & Steel (BPSL). It is likely to revise its bid to Rs 19,700 crore from its earlier Rs 17,000 crore. Tata Steel's steel production capacity in India will increase to 19.3 MT with the acquisitions of Bhushan Steel and Usha Martin. BPSL has 3.5 MT of capacity. In addition, Tatas looks to add in 5 MT greenfield expansions. Adding up all these, the capacity of the company will go up to 27.8MT, but at a cost of additional Rs 45,000 crore. Tata Steel had a consolidated revenue of Rs 1.33 lakh crore and a profit of Rs 17,757 crore in the last financial year. 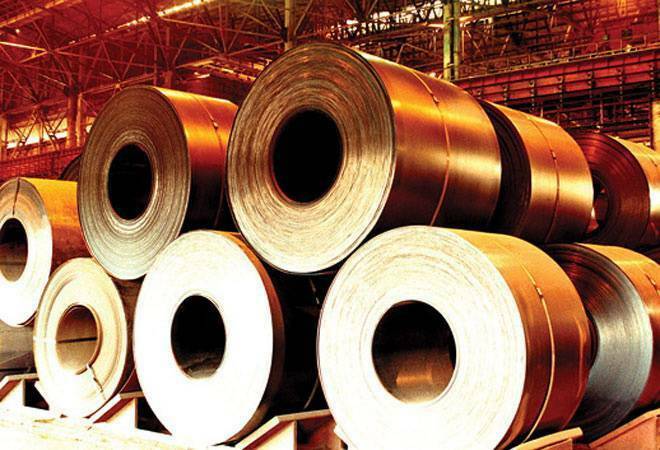 JSW Steel along with Aion Capital acquired the 1.5-million-tonne Monnet Ispat and Energy at Rs 3,875 crore, including Rs 1,000 crore as equity and working capital. The steel maker will have 19.5 MT capacity with the addition of Monnet. In addition, the company looks to build 6MT Greenfield capacity. The company's gross debt stood at Rs 39,600 crore at the end of the June quarter. If JSW wins BPSL and adds 6MT Greenfield capacity, the production can be increased to 29MT. But that itself will be a cost burden of Rs 50,000 crore. JSW Steel had a consolidated revenue of Rs 71,670 crore and a profit of Rs 6,113 crore in the last financial year. In the last two financial years, the steel sector has witnessed a turnaround with the country's steel production going up from 89 MT in FY15 to 134 MT in FY18. The exports went up by 136 per cent and India became a net exporter of steel for the first time in FY18. India's per capita steel consumption has jumped from 58 kg to 68 kg in the past three years. The government has set an ambitious target of 300 MT of crude steel production by FY31 in its National Steel Policy. The per capita steel consumption is estimated to jump to 158 kg by then. The state-run Steel Authority of India (SAIL) is the largest steel maker in capacity with 21 MT, including the Bhilai expansion. It has completed the expansion programme at its plants at Rourkela, Bokaro, Asansol and Durgapur. Commissioning of a melting shop with billet casters at Bhilai in Chhattisgarh has marked the end of its current capital expenditure cycle. The company has a debt of Rs 45,000 crore. Vedanta group is also looking to pursue its ambitions in steel business and it acquired Electrosteel Steels at Rs 5,320 crore through the insolvency process. ArcelorMittal submitted a Rs 42,000 crore resolution plan for Essar Steel, besides offering Rs 7,000 crore for settling the dues of Uttam Galva and KSS Petron, in which the global giant held stakes.